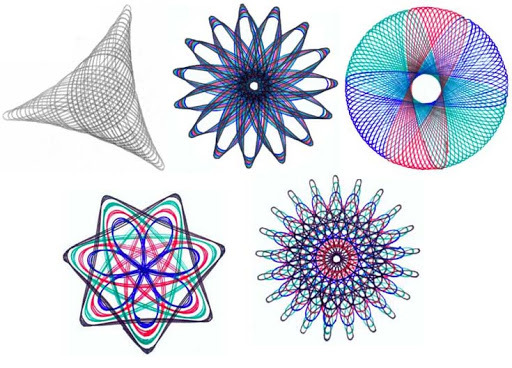 A spirograph is my kind of toy. Pinning the wheel to the cardboard, hearing the pen snick into place in the interior gear, clicking between the four colors of the retractable Bic, all highly addictive and soothing. The result is a lovely and complex geometric shape that, should you so desire, could be retraced until the paper was saturated with ink. All in all an excellent representation of the mathematical precision with which my brain can trace a path from topic to topic. The teeth of those little plastic gears are grabbing onto so much right now I am having a hard time writing about a single topic so I will give politics a short stab with my multi-colored pen. The reality of the sequestration cuts are beginning to trickle into daily life. The biggest problem with the sequester is that its like an avalanche – you’re not concerned at first because its just a little bit of snow, and its so far away, but once it starts rolling gravity takes over. Folks who should know better are saying things like “See? Planes didnt fall out of the sky, sequester is no big deal.” This is not a case of “chicken little”, its just a matter of months before the force of the cuts start to snowball. And we are all forced to watch. Agencies have until Sept 30 to make the cuts. Lay offs will start (if they haven’t already) in outer ring industries that sell goods and services to government, and in the little known long-term federal contract positions that are a common hiring work-around. Already the effects are being seen in the way research funding is (not) being allocated in higher education meaning labs are letting go of technicians and turning away student trainees. A generation of researchers will be lost. Some of the actual fat may be trimmed like airshows that are really giant feel-good military recruitment events. But this has reprecussions too. No patriotic tourists mean empty hotel rooms & restaurants. Unhappy hot dog vendors and parking lot owners. And those folks will spend less money at the local grocery, but perhaps a little more at the local bar. Very few are wealthy enough to not feel the ripple from these cuts. And those folks will simply ask for the plain white bag when they shop like they did back in 2008. In my role, the sequester is already hitting very hard. As a government contractor, I and all of my colleagues have lost a primary part of our incomes. This will mean that I will need to let many of my own contracted staff go… all of the young people who make up my research team and most of the admin team and on and on… I find it interesting when those around me make comments about the sequester being a non-event. The trickle down impact is shifting the lives around me in a quiet and yet devastating way… and no one seems to care. It feels insidious and thoughtless… two months ago our services were considered vital to the communities that we serve. Today we are considered expendable.